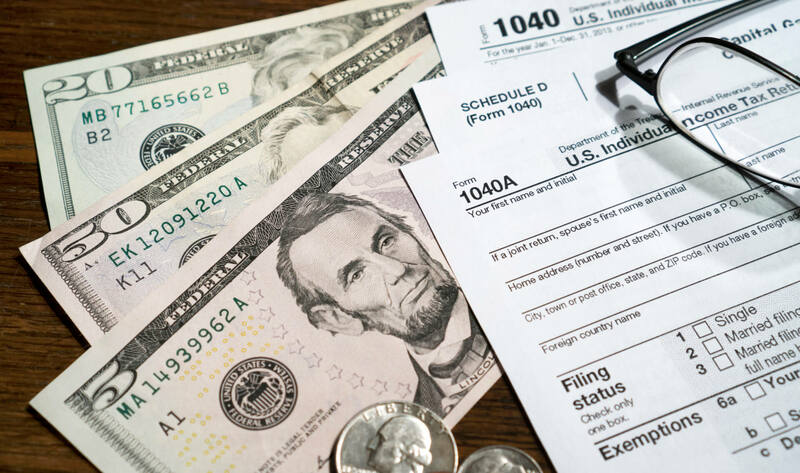 The question of what Arizona will do with the new revenue it gets by conforming with the federal income tax code, which is shaping up to be one of the most contentious issues of the 2019 legislative session, is a blank space in Gov. Doug Ducey’s executive budget plan. Arizona is one of 38 states that conforms its income tax code to the federal tax law. Because of the federal tax cut and reform package of late 2017, conformity would eliminate a host of itemized deductions, which would generate somewhere between $174 million and $228 million in new state revenue. Daniel Scarpinato, the governor’s chief of staff, said Ducey is committed to conformity. But the budget doesn’t include any mention of what the governor plans to do with the money. The Ducey administration has in the past proposed using the first year of revenue from conformity, which would cover the 2018 tax year, to bolster the state’s rainy day fund. Ducey’s budget plan calls for an increase of the fund to $1 billion, and there could be room for more if the legislature approves a bill to allow the state to keep up to 10 percent of general fund revenues in reserve. “If there’s an opportunity to put additional dollars in the rainy day fund beyond what we have presented here as part of this budget, we are very open to that discussion,” Scarpinato said. However, some Republican lawmakers have other plans for the money. Some Republicans view conformity as a tax increase and want to use the revenue for a corresponding tax cut. Ducey has pledged to cut taxes every year he’s in office, and his budget includes two small tax reductions. One is the continued implementation of a policy Ducey enacted last year exempting veterans’ retirement benefits from state income tax. Another is a new policy indexing the income tax exemption for dependents to inflation, which is expected to cost the state $3 million. The policy would extend a tax law change that Ducey signed in 2015 indexing income tax brackets to inflation. “We did the individual side, but we didn’t address the dependent side. So, we will be indexing that for inflation as well so the benefit does not erode with inflationary increases,” said Ducey’s budget chief, Matt Gress. Scarpinato said the governor is open to discussions about what to do with the money from conformity in fiscal year 2020 and beyond. But he’s committed to being fiscally responsible and conservative in the budget. Scarpinato also said it’s unknown how much money conformity would generate, and said there is currently a wide range of estimates. House Speaker Rusty Bowers, R-Mesa, and Senate President Karen Fann, R-Prescott, have proposed using some of the state’s one-time surplus money to pay off part of the near-billion-dollar rollover in the state’s K-12 education budget. A rollover is an accounting technique in which an expenditure is delayed past the end of a fiscal year so that, on paper, it doesn’t count as part of a current year’s budget. In 2009 and 2010, lawmakers rolled over a total of $930 million in K-12 spending. That rollover still exists today. Gress said increasing the state’s rainy day fund is a better and more fiscally responsible use of the state’s revenue surplus. He also said the rainy day fund is more important to Arizona’s credit rating. “Is the rollover ideal? No. But I will tell you this – our credit ratings agencies want to talk to us about how much do we have in the rainy day fund and how are our pensions doing. Those are the two top issues that they have for us,” Gress said. There is a lot of interest by several legislators to give the money back to the people by revising the law. However, Arizona is cash starved and has been every year since the recession ten long years ago. Yet we keep cutting taxes justifying the cuts as economic growth stimulators. A myth that has long been disproven. We need the money, we need it in our rainy day fund, we need it in our schools, we need it in government worker salaries, we need it in infrastructure, we need it in our parks and we need it to keep our great state fiscally sound. We all got a federal tax cut (at least that’s what we are being told) let’s give our State a fiscal boost. Governor Ducey is committed to nonconformity when it comes to keeping the state income tax standard deduction less than half the new federal amount. Conformity would result in simplification for hundreds of thousands of taxpayers, mostly in lower tax brackets. It’s a mystery why he would oppose something that should be popular only with the tax preparation industry.